This island is vastly different from Oahu, which is the Hawaii most people think of first. The big island is a geological treasure chest, as well as a place where the original culture of Hawaii thrives. Hawaiians were drawn to settle in the area because of its unique structures like lava holes, which were great for growing crops and constructing stone fishponds. This is the island where you can see molten lava flow into the sea, and witness the newest land on the planet being formed in Hawaii Volcanoes National Park -for info and eruption updates call (808) 985-6000. 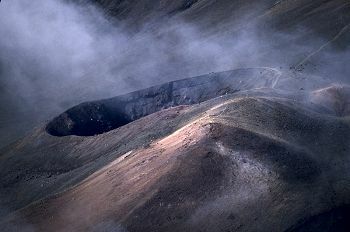 Tours are available with geologists at Hawaii Volcano GeoVentures (808) 985-9901. See black sand beaches, walk paths through rain forests, and visit steaming crater vents. A recent cultural addition to the island is the Kaloko-Honokohau National Historic Park, which includes 650 acres of black lava. This makes for an amazing landscape. This unique park is a vision of the native Hawaiians as a place to practice their culture and religion Kona coffee was world famous long before Starbucks and The Kona Historical Society has worked at getting working farms open for living history tours which reflect the lifestyle of Japanese coffee growers. Tours are available at Kona Coffee Living History Farm (808) 323-2006. The Internet has allowed for growers such as NoeLani Farm to sell direct, and you may purchase custom roasted Kona coffee at www.noelanifarms.com. For more information contact the Big Island Visitors Bureau at (800) 648-2441 or www.bigisland.org. Hawaii's Best Bed & Breakfasts (800) 262 9912 will handle reservations. For lodging and dining in Kona try Holualoa Inn (www.konaweb.com/HINN), or Aston Keauhou Beach Resort (www.astonhotels.com.) which is near one of Kona's rare sandy beaches. The Kohala Coast is where the best and most expensive resorts are such as the Four Seasons Resort 800 332-3442 the Mauna Kea Beach Hotel 800 882-6060 and the Mauna Lani Bay Hotel and Bungalows 800 367-2323. 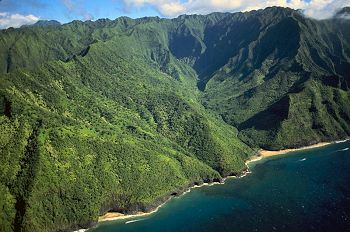 The Big Island of Hawaii strives to maintain a balance between tourism, the economy and preserving it's natural resources and culture. It has a time and space all it's own and isn't ruled by profits. Remember…In Hawaii time -alway s call and find out the times and days your desired destination is open.